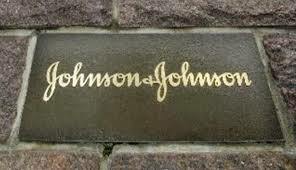 Johnson & Johnson (NYSE:JNJ) is a truly excellent company that can be found in many portfolios. It currently makes up 4.5% of my taxable dividend growth portfolio and for good reason: consistency. Johnson & Johnson has managed to grow it's dividend for 53 consecutive years and if history is any guide they'll be announcing another raise in one month's time. This plants them firmly as one of premier Dividend Champions. Every $1 invested in Johnson & Johnson a decade ago has grown at a 9.29% annualized rate to a value of $2.43. An investment two decades ago has grown 10.40% annually and is now worth $7.25. A $1 invested three decades ago is now worth $61.16 which is good for a 14.69% annualized rate. It's been nearly 4 months since I last analyzed Johnson & Johnson and its investment potential (Previous analysis can be found here). At the time shares of Johnson & Johnson had risen around 7% in a rather short time period to around $101. We've seen another 6.5% gain since February 11th removing much of the value proposition. Shares of Johnson & Johnson closed trading on March 24, 2016 at $108.31 providing investors a current yield of 2.77%. Hi JC -- thanks for this analysis! Just wanted to let you know the "Continue reading" link points to an XOM analysis on Seeking Alpha. Thanks for catching that. I hope you were still able tog et through to the article. I agree that JNJ is a great company with an awesome record of returns. I also agree that it isn't time to panic yet. I'm planning on staying in for the long haul. I hope to add more to my position and might use the little bit of cash I have in my Roth to make a starter position and DRIP forever to build it up. JNJ isn't a great purchase here but it can still be justified if you're aware of the fact that future returns are predicated on the value present. Right now returns look to be in the 7-8% range. That's not bad considering it's a fairly certain thing on a risk adjusted basis and there's room to improve those returns with JNJ improving efficiency and expanding into higher margin business lines. I won't be selling here but I wouldn't be rushing out to buy either. I'd like to see the yield above 3% again before I pull the trigger. Luckily my last two purchases late last year hit that mark. I can't fault anyone for buying here though, sometimes quality is worth a little extra premium. I'd love to add more at a 3% yield and with the dividend increase on the way in April that pushes the entry price requirement a bit higher. I might bite the bullet and add some with the little bit of capital I have in my Roth just to get it working. For a long term buy, hold and DRIP JNJ is one of the best companies out there.